Bailing Out Benji February 9, 2012 April 20, 2017 No Comments on To Alter or Not to Alter…. 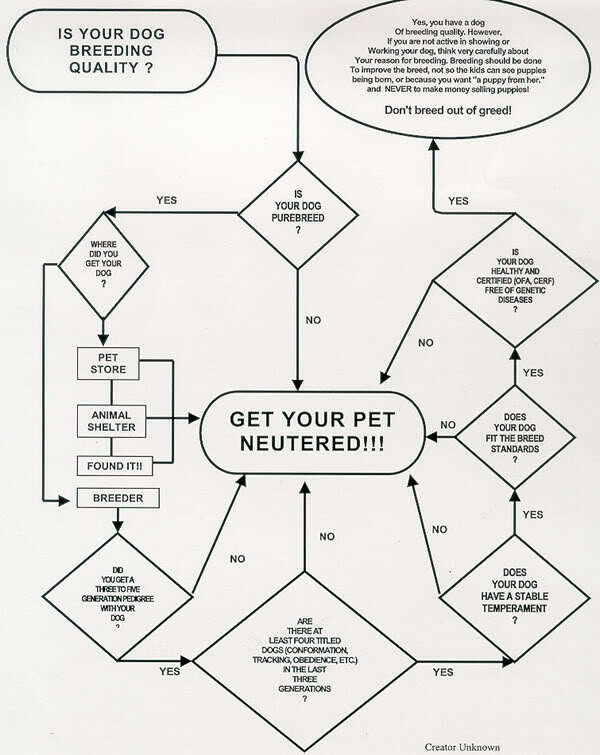 So many people question whether or not they should spay/neuter their pet… I came across this flow chart and wanted to share! Firstly, if you have a cat then you NEED to have it altered. There is absolutely no need to breed cats. Even if they are farm cats, it is important that you trap, neuter, and release them. 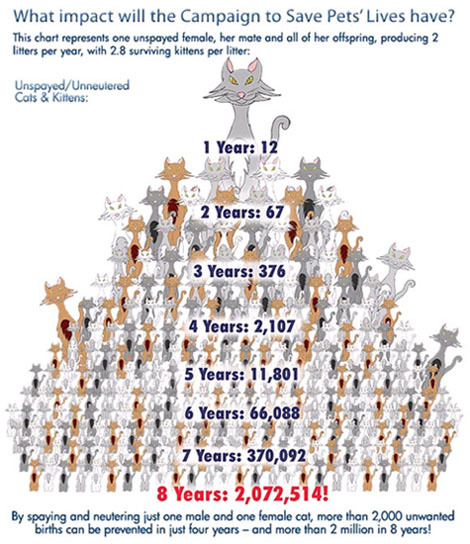 There are many organizations that offer low-cost spay/neuters for cats- please take advantage of them! breed, “fluffy” dogs in shelters. If you liked this, then “like” our facebook page! There are VERY FEW places which perform low cost spay / neuter in Iowa. Many websites, including yours, vaguely tout low cost programs, while few places actually do it. I am aware of 1 place in Des Moines that offers spay / neuter below $50 for cats, male and female, and 1 place in Jewell. Two places in Iowa that offer year round, spay / neuter of cats for under $50. If you know more places, list them, so people can find them.